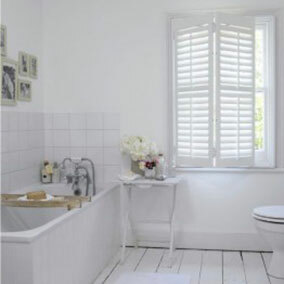 With over 40 years combined experience, Cheshire Window Shutters, are the natural choice. With over 40 years combined experience in the blinds and soft furnishing industry, Cheshire Window Shutters, are the natural choice. Cheshire Window Shutters combine the traditional warmth and beauty of natural wood with the advantages of high–tech materials and intelligent design. Cheshire Window Shutters’ window blinds are elegant and versatile blinds for large windows or patio doors and can also be used as room dividers. All of the fabrics in our collection can be made into curtains, romans, cushions, tie backs and valances for a perfectly co-ordinated look in your living room. Cheshire Window Shutters offers many different styles of window shutters depending on what style and look you are after.View our different styles for some inspiration. Picture yourself waking to the morning sun shining through the windows, or getting the perfect balance of shade in the room. This can be achieved through a range of our shutters or blinds. Be inspired by our range of shutters, blinds and curtains. Cheshire Window Shutters owners have both been trading since the early 80’s and joined forces to provide a service that is second to none. Specialising in “up to the minute” Plantation Shutters, we can help with all your requirements from one small window, an entire property or your business premises. We have extensive experience in “problem‘ large-scale shaped windows, arched windows and round windows and we’ll help you achieve the look you want with our quality Plantation Wooden interior Shutters. Other blinds and soft furnishings are also available. We believe your home should reflect your personal taste and style. That’s why we will explore with you your specific goals and ideas in the comfort of your own home, or at your business premises. 3 year warranty on all shutters, fittings and products. FREE home survey with shutter & blind samples. Fully trained surveyors and window shutter fitters. Competitive prices on all our shutters, blinds and other products. Whether your design ideas are your own or your architect’s, builder`s or interior designer’s, we will work closely with you to ensure that your are guided through every step of the way, until your vision is realised. 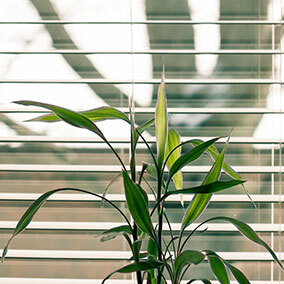 Our team is skilled at solving complex space and design problems with a range of products including Awnings, Motorised Blinds, Plantation Shutters, Custom Made Curtains, Re-upholstery, Conservatory Roofs and a whole range of Window Blinds.